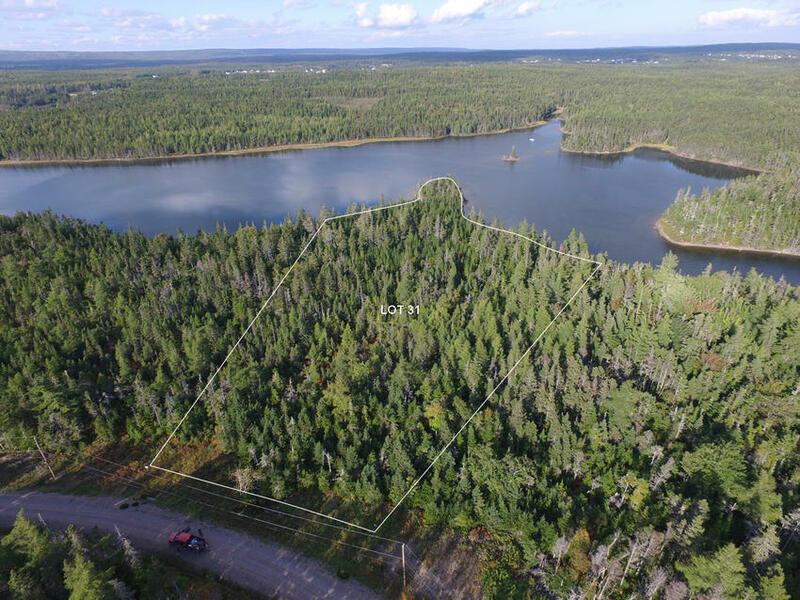 Here is a wonderful waterfront lot in Cape Breton Nova Scotia with 820 feet of shoreline! This unique property is located on a 150 acre peninsula of spectacular oceanfront properties. Tucked away yet near communities and amenities. A great spot for a vacation cottage. Location: River Bourgeois, Cape Breton, Nova Scotia, CANADA. Lot 31. 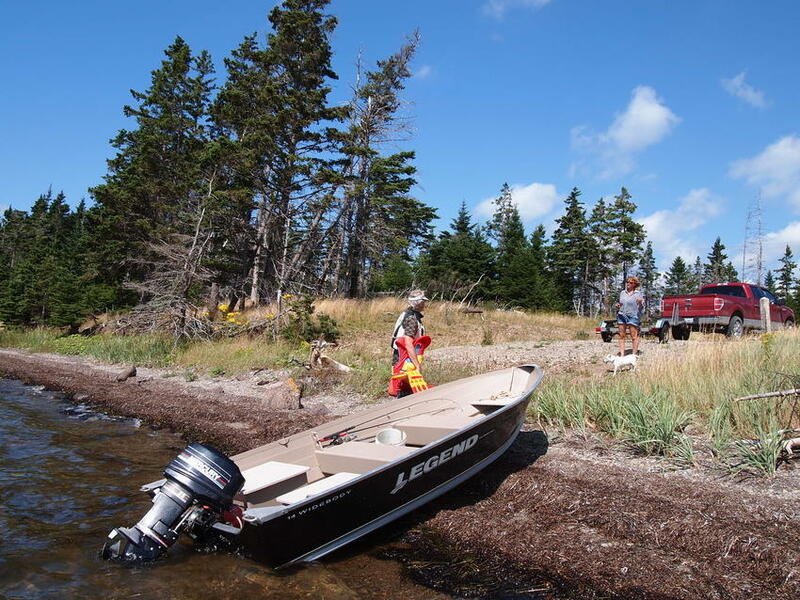 Petite Barachois is a small sheltered inlet on the Lennox Passage offering safe boat moorage and wonderfully peaceful scenery. Lot 31 in Shorefront Estates. 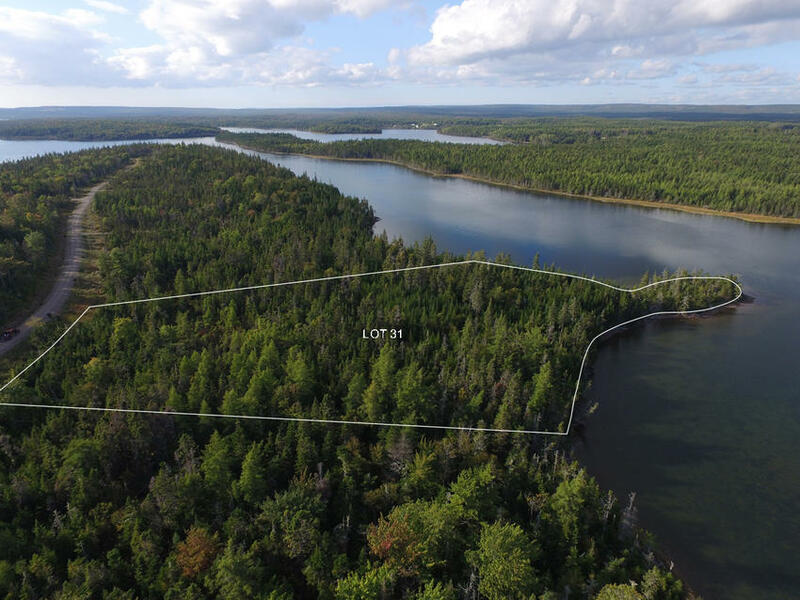 You have plenty of room to develop the land and construction of your dream waterfront cottage or home. In the distance is Indian Island, Birch Island and the Lennox Passage. Lot 31 aerial view and shoreline from above Petite Barachois. In the distance is Lennox Passage and Isle Madame. Cascarette Island is in view just beyond the entrance to Shorefront Estates. Here is a lovely view of Lot 31, looking into the far cove of Petite Barachois. 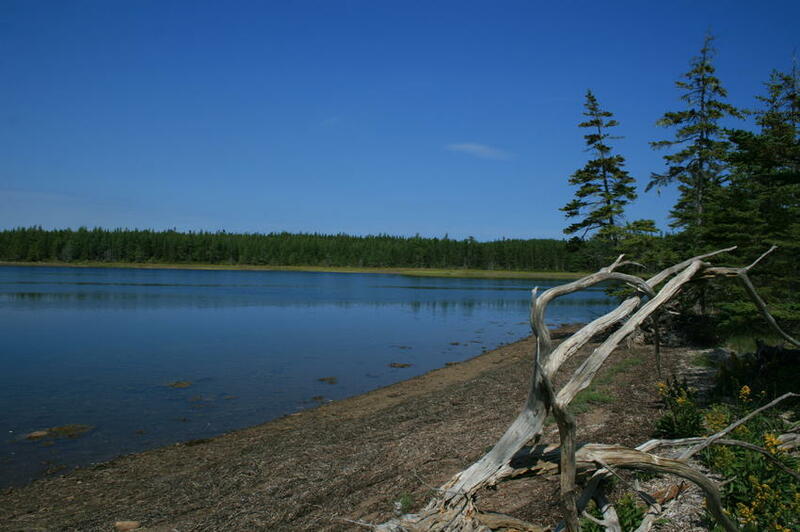 This quiet cove is excellent for canoeing, kayaking, paddling, exploring the shoreline, collecting shells, fishing and digging for clams. Lot 31 Shorefront Estates, looking East over the Lennox Passage and the Atlantic Ocean. Here you can experience great fishing for Mackerel and Cod. Sailing and boating is first class! Lot 31 has over 46 meters (153 feet) of roadfront on Anchorage Ave, serviced with power and phone. In this picture you can see that there is a small boat moored in the cove. This is a wonderful location that the whole family will enjoy. From ocean kayaking, to beachside BBQs. Spending time in Nova Scotia will create lifelong memories. Here is one of the common water access points in the development that can be used for launching a small boat, swimming and beach walks. It is possible to put such a driveway within your lot (Lot 31). This is a survey highlighting Lot 31. Measurements are shown in meters. 1.502 hectares = 3.71 acres. 250 meters shoreline = 820 feet shoreline. Pictured is Anchorage Ave and Lot 31 on the left. Anchorage Ave is a private subdivision road within Shorefront Estates. This photo was taken on the shoreline of Lot 31, along the peninsula out to Petite Barachois. Bald Eagles, Terns, Kingfishers, Herrons, and Commorants are common sightings at Shorefront Estates. 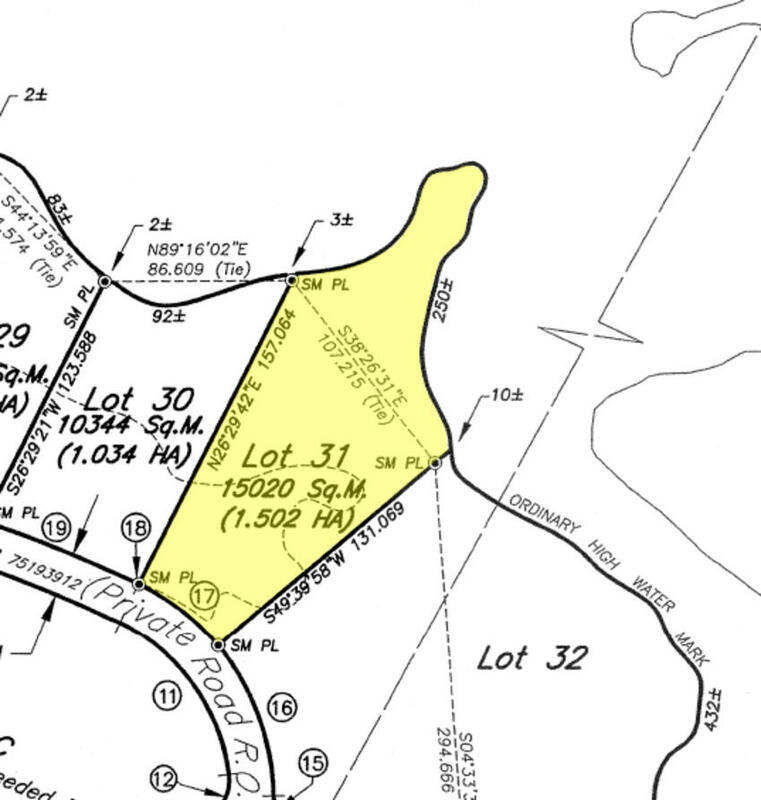 Here is a map indicating the location of Shorefront Estates and Lot 31. Take exit 47 on Highway 104 and follow Highway 4 or North Side River Bourgeois Road around to South Side River Bourgeois Road. 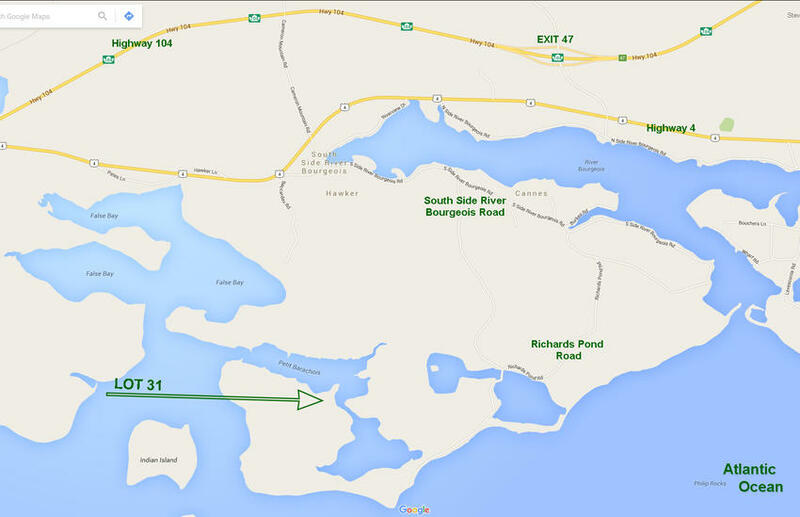 A right on Richards Pond Road will lead you to Lot 31. 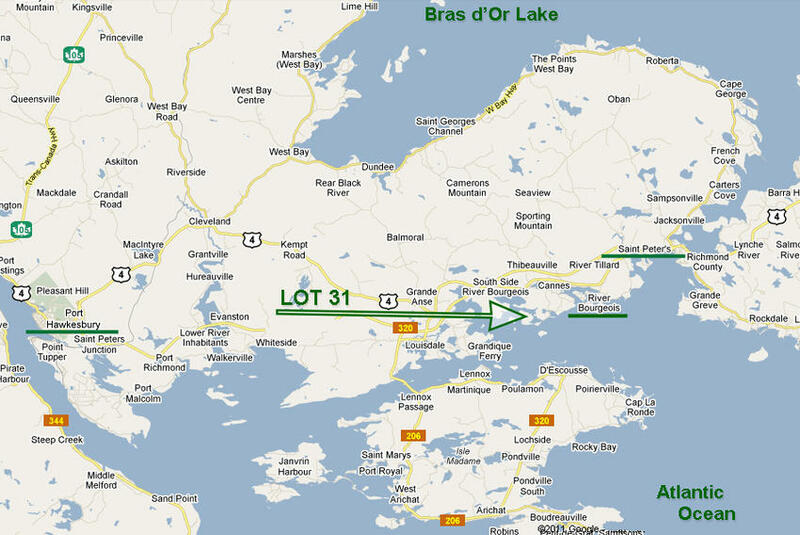 This map shows the location of Lot 31 in Shorefront Estates on the Eastern shores of Cape Breton, Nova Scotia. 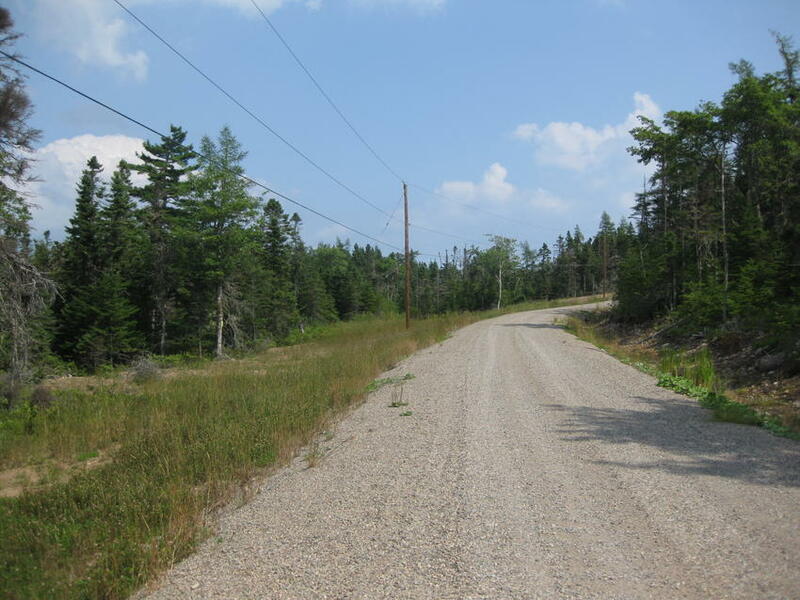 The land is within easy reach of the airport in Halifax (and Sydney) via a good network of highways and roadways. Eastern Canada and Maine USA. This image gives you a good idea of the location of Lot 31 and Shorefront Estates and shows various travel connections. 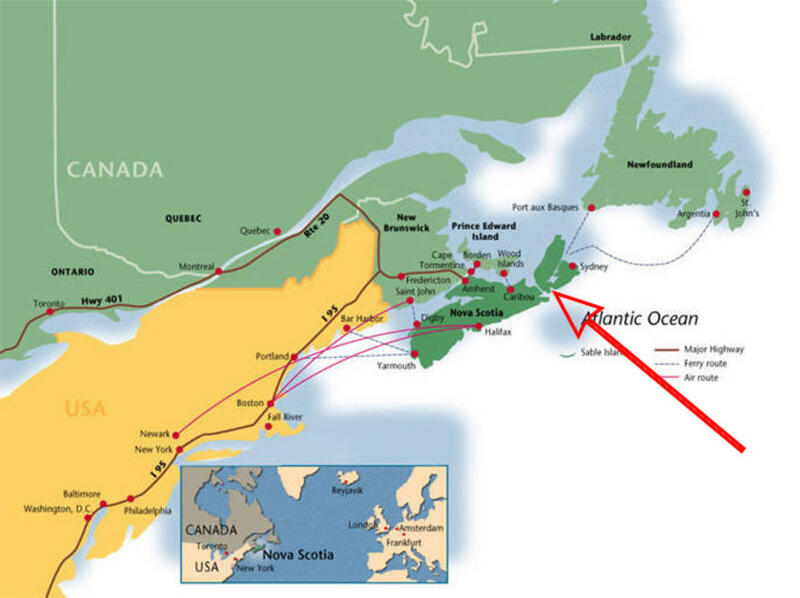 Direct flights between Nova Scotia and the United Kingdom and Europe are readily available. 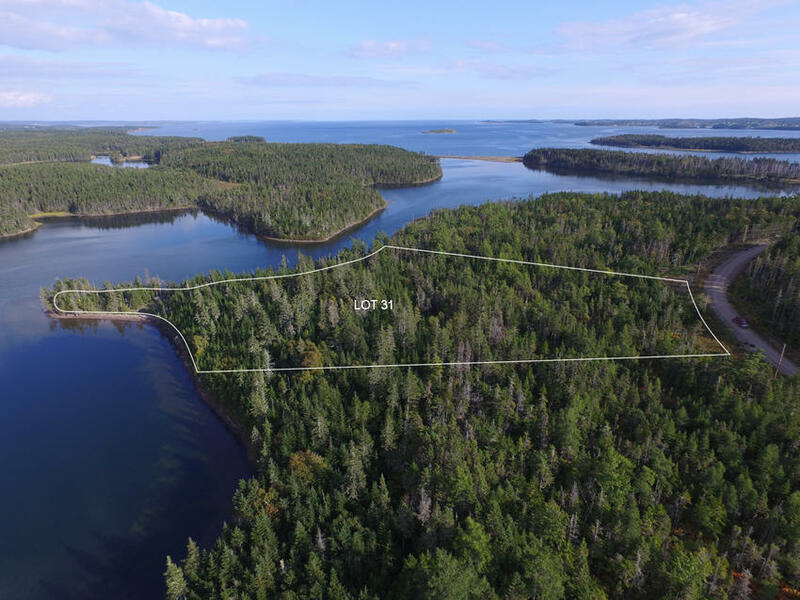 Land situated on L'Isle Des Cordeaux, Anchorage Avenue at South River Bourgeois, in the County of Richmond, and Province of Nova Scotia, CANADA. 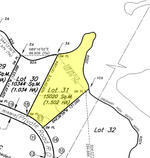 Lot 31 on Subdivision Plan. 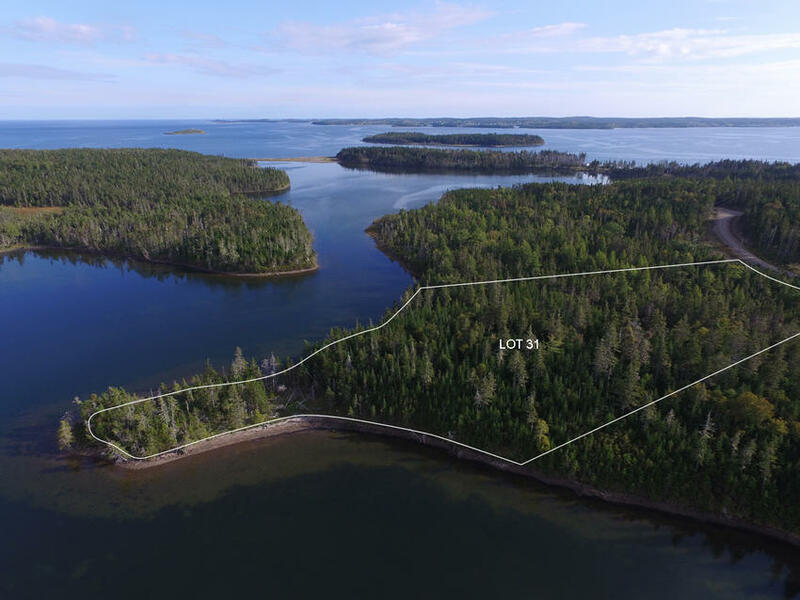 Nothing to do, and nowhere to be, except enjoying over 820 feet of private shoreline at your property in Shorefront Estates. 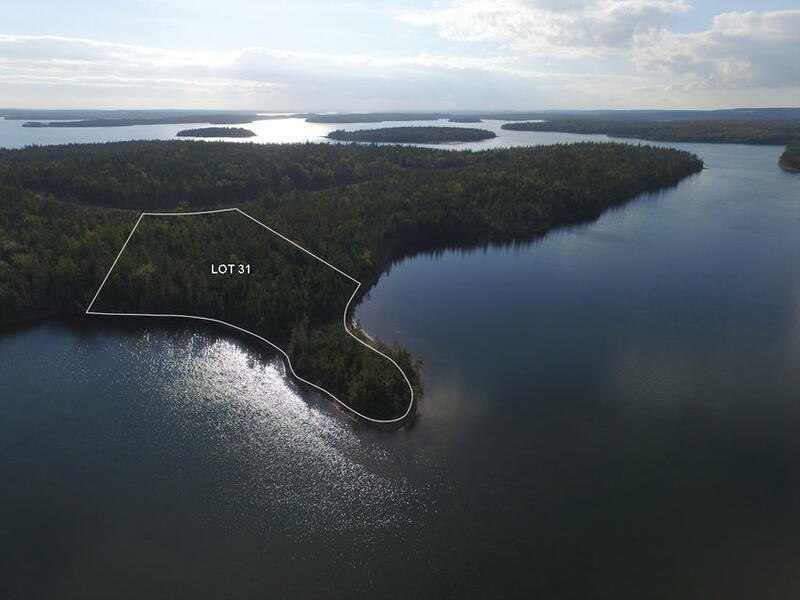 Lot 31 features a small peninsula jutting out into Petite Barachois and is a beautiful site for your future cottage or vacation home. 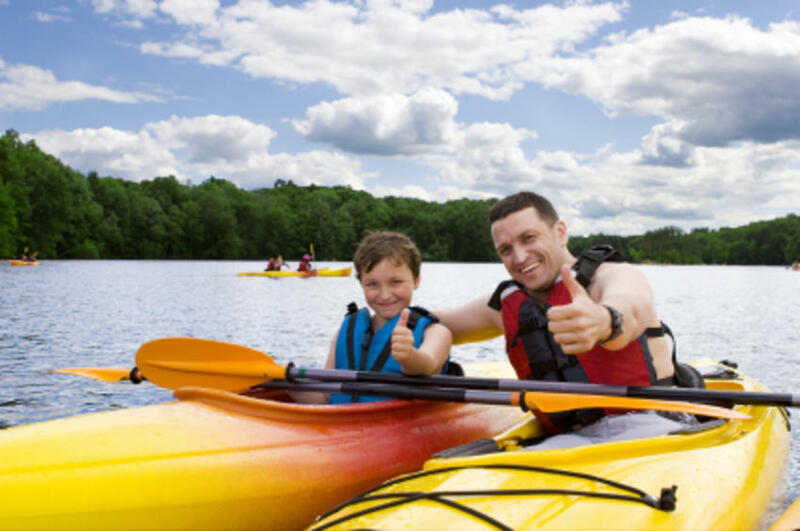 Plenty of everyday adventures like kayaking, boating, fishing, sailing, clam digging, and enjoying the coastal sights and sounds of the region - bald eagles overhead, cormorants and kingfishers diving in the water, grey herons waiting patiently along the shoreline. 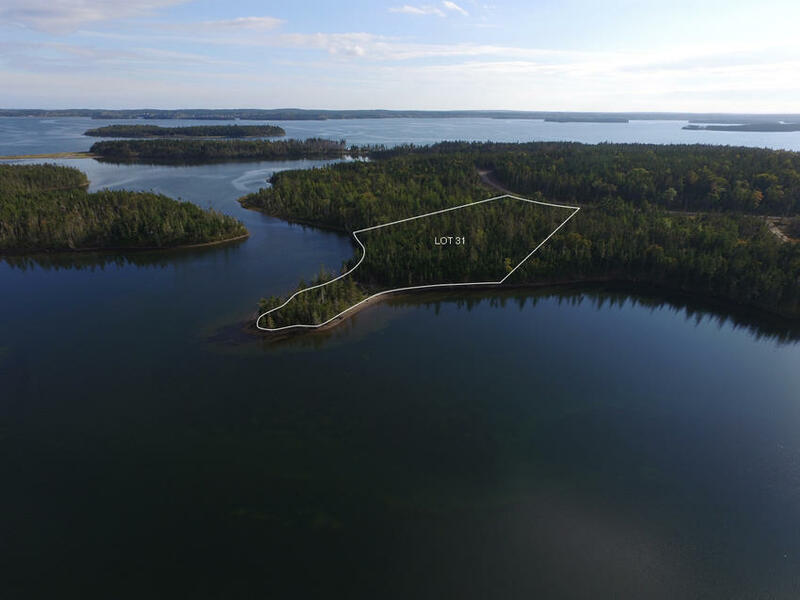 Owning a piece of land here means fun for the whole family - collecting skipping rocks along the shore with the kids, digging for clams, taking the family out on the water to explore coves and beaches, and enjoying beachside barbeques overlooking the water. 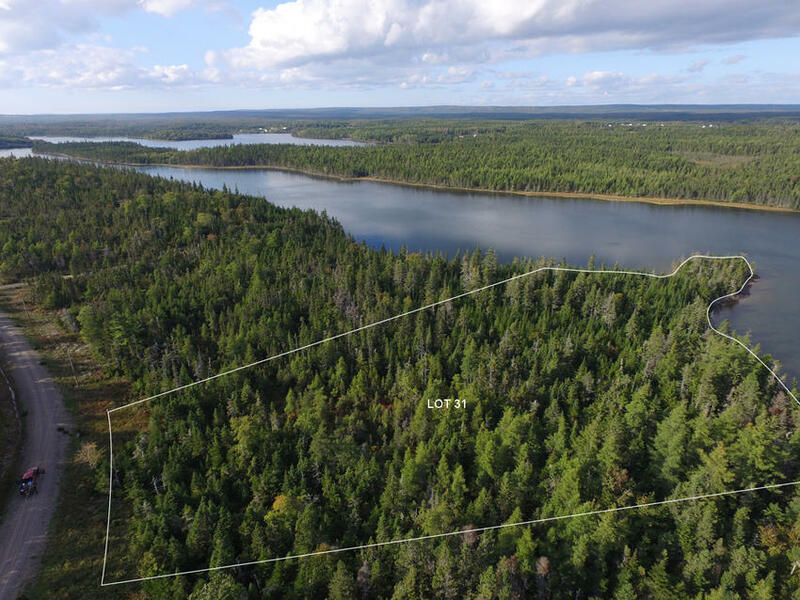 The Shorefront Estates Development is situated at the southeast side of beautiful Cape Breton Island in River Bourgeois on the Atlantic Ocean and is within driving distance of the charming communities of St. Peter’s Bay and River Bourgeois. River Bourgeois is a small community of about 650 people located on the south shore of Cape Breton Island. The community was originally settled in 1714 and is steeped in rich Acadian history and culture. If you’re looking for a fun event to attend in town, be sure to check out the River Bourgeois Days Festival. Activities include lob ball tournaments, “closest to the hole” golf games, heritage walks, an antique care show canoe races, and more! Welcoming locals will make you feel right at home during the festival. The charming fishing village of St. Peter’s, Nova Scotia is just 15 minutes away from your property, and will satisfy all your shopping needs. You can stock up on the basics at grocery stores, dine at local restaurants and cafes, or peruse gift and craft shops for keepsakes. You can also stop to fill up at the local gas station, drop off your mail at the post office, and visit the bank when necessary. St. Peter's borders the Bras d'Or Lakes as well as the Atlantic Ocean while the St. Peter's Canal connects the two. A lovely marina on the Bras d'Or Lakes side boasts 64 berths and 10 moorings, diesel and gas, basic amenities and a friendly staff, making boating adventures around your property and into the Bras d'Or Lakes a wonderful way to spend a summer weekend. Term Sale: $48,000.00, payable $3,000.00 cash with order and seventy-two (72) monthly payments of $625.00 each, and interest. Additional 10% discount if paid in full within 30 days: $43,200.00, if paid $3,000.00 down payment with order and the balance of $40,200.00 within thirty days thereafter.